Have you ever read the first paragraph of a book and knew in that instant you would love it? Well, that is what I felt with Lory Lilian’s Remembrance of the Past. In this book, Elizabeth and Mr. Darcy encounter each other at a park in London a couple of months after the Hunsford Proposal and when their paths cross, you know what happens: they will live happily ever after. But what we are interested in is the journey that takes them there, right? This journey couldn’t have been more endearing. Remembrance of the Past is a slow paced book that will show us how these characters can be perfect for one another, and how much they love each other. Lory Lilian’s words will give us plenty of pleasurable moments from the very beginning. I loved both Elizabeth and Mr. Darcy in this book, but one of the things I liked the most was Darcy’s sense of honor. I won’t say much about it because I don’t want to spoil the entire plot of the book, but let’s just say Elizabeth and Mr. Darcy have a difference of opinion in this matter, and I am definitely team Darcy on this one! I’m glad the author portrayed Darcy this way. His sense of honor towards the end of the book was something I particularly found very romantic. The author also introduced us to a new character that will be essential to the plot, and who kept me very curious until the very end: Lady Cassandra. I had mixed feelings towards her, but just like Mr. Darcy, I believe she improves upon further acquaintance. At a time I even though more about her and her story than Elizabeth’s, which is something hard to happen. Her life story is incredible and she will be essential to the happiness of one of my favorite characters in the entire book 🙂 But I will not say much more, because if I continue on this road, I might spoil some of my favorite parts in the book. But not everything is a sea of roses. We will see some old and some new villains, and Caroline Bingley will be just as annoying as ever. I felt her fate was well deserved and Lory Lilian was kinder to her in the end of the book than I would have been. I read this late last year, Rita, and really enjoyed it. Your review was spot on with everything you highlighted. I’m halfway through Rainy Days right now and I think you’re in for a treat! Thank you Rita for such a lovely review – I am very happy that you liked the story. 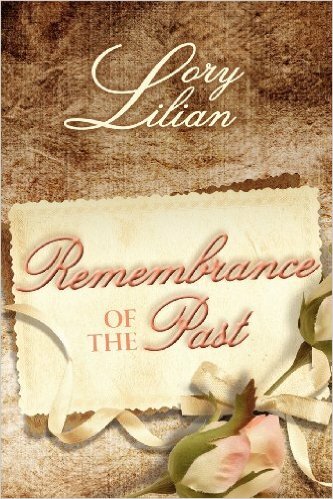 I can hardly believe that there are 10 years since I started writing Remembrance of the Past. :-). So glad you enjoyed it! And thank you for taking the time to write down ch a lovely review. Wonderful! Wrote down? Ugh–should have taken a better look before hitting “Post comment” from iPhone. Anyway–you know what I meant. Thank you. Thanks Christina 🙂 autocorrects are one of the 21st century’s nightmares aren’t they? Rita, this is the last one on my TBR list from Lory. Now I want to read it even more!! Thanks for a lovely review. I need to re-read this one. I remember loving it, but that’s about it. Your review was so good it has me eager to go again with the story. It is fun to see Lizzy have a rival and I do remember liking the Lady Cassandra character as part of the plot. I’m glad I enticed your wish to re-read this one 🙂 Lady Cassandra is intriguing and I actually wondered why didn’t Darcy fell in love with her before meeting Elizabeth. I always like to see this book getting some love. It does have one of the best opening chapters of any JAFF I’ve ever read. Great characters, love the high drama of the second half of the book. This is one I’ve reread several times. You know when it seems as though everybody else has read a book except for you?! Well, this is what I have with both this book and ‘Rainy Days’. They have both been on my TBR list since I first found JAFF but I haven’t got to them yet. Your excellent review has reminded me that I need to get to them! Loved ‘Rainy Days’ so I look forward to the sequel.